Germany - "a coalition deal by Christmas"
Germany is potentially facing months of tough coalition talks. Chancellor Angela Merkel has begun the difficult task of trying to build a government after Sunday’s general election. Some are predicting the prospect of a weaker Merkel at the head of a potentially unstable coalition with the pro-business Free Democrats (FDP) and Greens, dubbed “Jamaica” as the parties’ black, yellow and green colours mirror its flag. Sunday’s national election vote pointed to a three-way tie-up as the most straightforward possibility for a coalition. Merkel secured a fourth term, but saw her support slide and the far-right make significant gains. Commentators are blaming Merkel’s decision two years ago to allow one million migrants into Germany. Merkel’s conservative bloc secured 33 percent of the vote, losing 8.5 points. That is its lowest rating since 1949. Her CDU remain the largest parliamentary bloc. 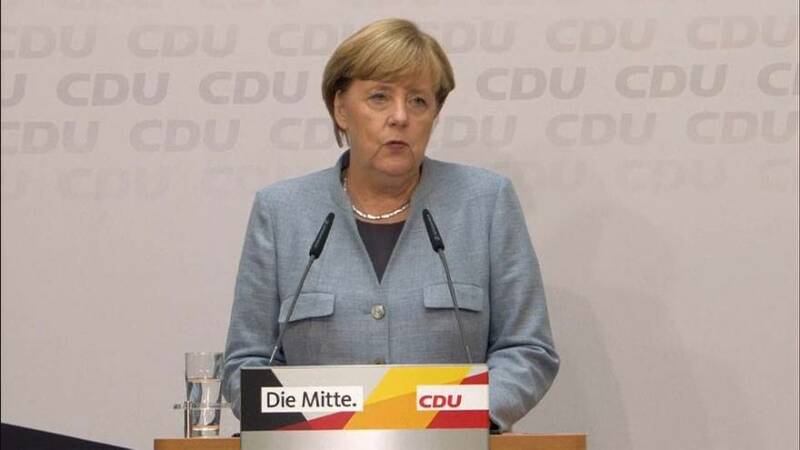 Merkel says they will set about building the next government and is sure a coalition will be agreed ‘by Christmas’. The centre-left Social Democrats also slumped. They say they will go into opposition. SPD leader Martin Schulz says his party has no choice but to go into opposition after dropping to a post-war low of 20.5 percent. What did the FDP say? The country’s liberal Free Democrats (FDP) say they will not agree to a deal with Chancellor Angela Merkel’s conservatives and the Greens if it does not promise a change in the German government’s direction. FDP party leader Christian Lindner says changes are needed in Germany’s energy policy and its stance on eurozone fiscal policy. And what about the far-right? Voters flocked to the anti-immigration Alternative for Germany (AfD). It is the first far-right party to enter the German parliament in more than half a century. Many Germans see the rise of the AfD as a similar rejection of the status quo along the lines of the UK’s Brexit vote and the election of Donald Trump in the US. However, Germany’s political centre held up better than in the UK and the US. More voters have benefited from globalisation and most shun the country’s extremist past. “It is not up to us to form a ‘Jamaica coalition’ at any price,” – deputy party leader Wolfgang Kubicki told journalists. “We have understood our task – to be a strong opposition in this country and to defend democracy against those who question it and attack it,” – SPD leader Martin Schulz told party members. "There still is a deep divide between West and East Germany"